and the values of the people who live and work there. blocks is unique to every place. and what the area may need in the future. with other agencies in developing infrastructure. The quality of life, or ‘the feel good’ factor. This draws in business and people. the experience of physically being there. Developing pride in place. looking forwards and asking how what they do now can meet the needs the demands of the future. 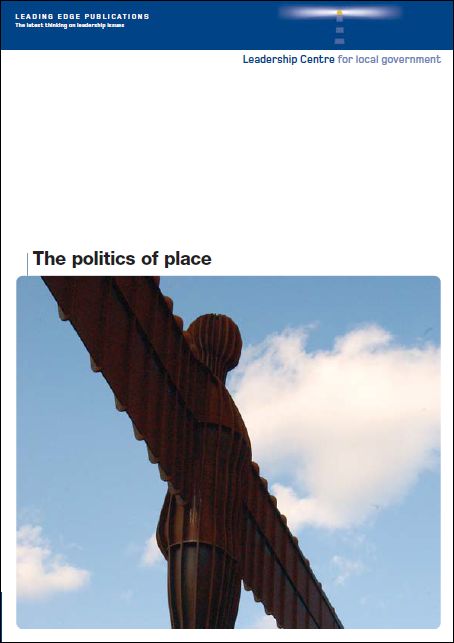 in the publication ‘The Politics of Place’ which you can read here.